Perhaps your loved one has a birthday coming up, or maybe you are just hoping to brighten the day of your loved one. 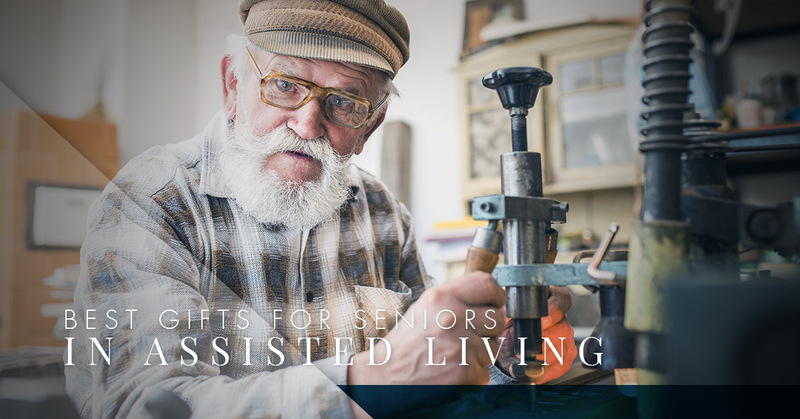 Either way, we are here to help you choose the best gifts for your loved one residing in our assisted living facility in Knoxville. Here at Prosperity Pointe, we have built a community where our residents don’t just live, they prosper. Some of the things that encourages our residents the most are visits and gifts from loved ones. These memories and items are treasured and enjoyed more than you may even realize. If you feel like you have no clue what to give the senior in your life, read on for some of the best gift ideas for those living in an assisted living facility. Often, someone residing in assisted living can start to feel disconnected from the rest of their family. If your loved one isn’t able to attend a lot of family events like their grandkids birthday party, or the annual family spring get-together, take lots of photos and turn this into a meaningful gift. If you have kids in your family, have them help you decorate scrapbook pages and choose out photos of the event. Include little stories about the event and memorable moments. These scrapbooks and photo albums can help your loved one feel more connected to the family unit as a whole. Many seniors live on a tight budget. They may need to be very frugal when purchasing necessities. A great gift you can put together is a basket filled with luxury toiletries. Splurge for some nicer shampoos, conditioners, and lotions. Pick out some soothing balms and calming aromatherapies. We all like to feel like we are pampered and this simple, but thoughtful gift can go a long way in boosting your loved one’s comfort. For women, throw in some of their favorite cosmetics or a fun lipstick they might enjoy. 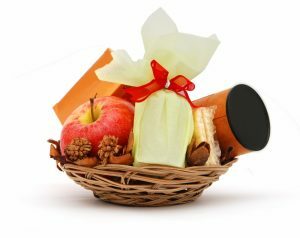 Another personalized gift you can put together for your loved one is a basket of their favorite snacks and foods. Obviously, you want to be sure to follow any dietary restrictions they are on, but an assortment of their favorite treats can be a nice perk. Add to the personalization by baking some homemade treats to include. If you have children, involve them in picking out some treats. Label each food item with a note from the family member who picked it out. Even if you have little ones too young to write a note, you can attach a drawing or colored picture with the treat. Does your loved one adore shopping at a specific retail store? Do they have a restaurant they rave about? Purchase some gift cards for them to use at these places. A gift card allows them to enjoy a trip away from the assisted living center without the worry about overspending on their budget. If you have the ability to do so, include a note with a gift card to a store with a day you can come pick them up and take them out shopping. This way they can not only pick out some items they have been eyeballing, they can also build new memories with you. If you are looking for an assisted living facility in Knoxville for your loved one, come take a tour of Prosperity Pointe. We treat our residents like family here, and we strive to build a community where each resident can prosper and thrive. Not only do we provide assisted living, we also have memory care programs for those who are suffering from memory loss, dementia, or Alzheimer’s. Learn more about our facility here.